After we spoke with the director of Couch Theatre’s latest production, we could not wait for it to come out. 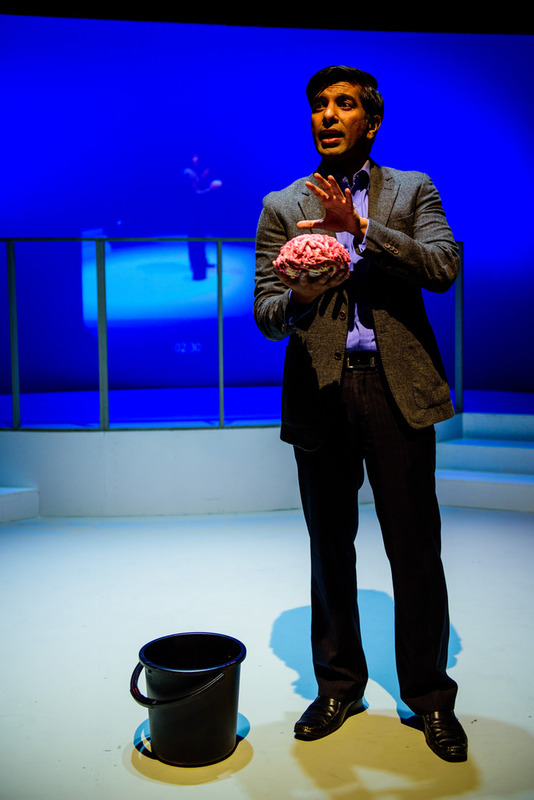 The Effect, by British playwright Lucy Prebble, was packed with a strong cast, but that was not always enough to deliver certain scenes in the production. This latest production by Couch Theatre was a solid piece of theatre with some commendable highs, but in some areas, found wanting. For those who did not get a chance to read our pre-show article, we had interviewed the director, Ziyad Bin Ahmad Bagharib. Here is a short summary of Prebble’s The Effect. 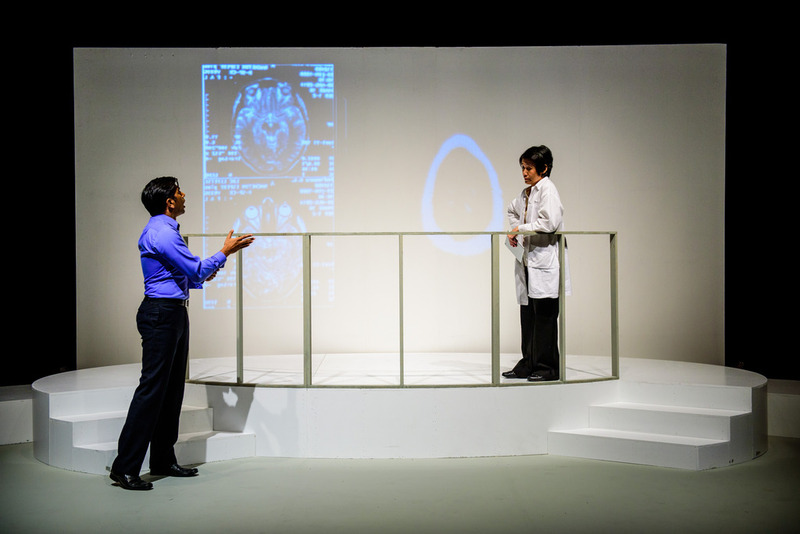 Two young adults, Tristan (Johnson Chong) and Connie (Krissy Jesudason) are enrolled as test subjects in a clinical psychology trial for a new line of antidepressants that allegedly increases levels of dopamine in one’s brain. Things begin to get complicated when the two begin to fall for each other and it becomes unclear whether their feelings might be attributed to the drug or are genuine emotions. 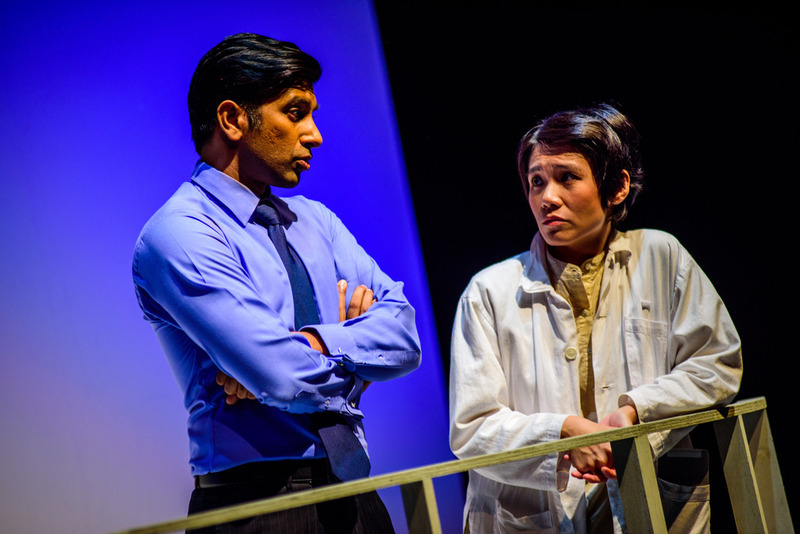 As the play develops, the relationship between the researcher, Lorna (Chio Su Ping) and her pharmaceutical employer, Toby (Prem John) begins to unfold. 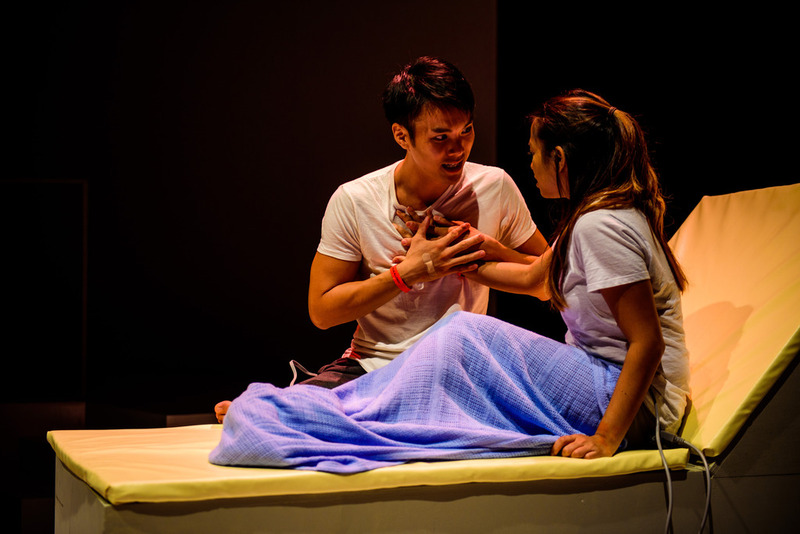 Couch Theatre can be commended for their ambitious choice of script that explores issues of love, ethical practices of medicine and mental health. That being said, the dynamic between Tristan and Connie felt particularly awkward and undeveloped in the first half. After some time however, their relationship becomes much more believable and perhaps hit its peak when they were lying in bed together. This particular scene felt sincere, genuine and in some ways, made us feel that in that moment, neither of their feelings were influenced by the drug or was mere infatuation. As for Lorna and Toby, their complex relationship unfolded at a steady pace throughout the piece and their awkward pauses and appropriate body language helped establish the nuances of their relationship. The highlight of Toby’s performance was probably his (rather lengthy) monologue that seemed to encapsulate the ethical issues pharmaceutical companies today face when developing their products. This medical talk was interweaved with anecdotes about Toby’s father which made it all the more poignant and sincere. It was moments like this that lifted Couch Theatre’s production to a level where the audience was fully engaged. When we last spoke with Bagharib, he was excited about utilizing multi-media in the production and rightfully so. The projections in the piece were used to depict images of the subjects’ brains and to illustrate their drug dosages, amongst other things. It was extremely effective and salient in creating a lab-like atmosphere that was needed to create a more genuine space. Unfortunately, the production did fall short at certain moments. There were times when we failed to hear or understand what Toby was saying because of poor articulation. Additionally, the second half of the piece felt too heavy for us as the plot unfolded and left us struggling to keep up with each of the character’s development. However, these shortcomings do not strike us as ones that cannot be improved in future productions. This young and promising company seems to be heading in the right direction. Perhaps in this case, they just needed more time to refine and pace the production appropriately. Keep an eye out for their future productions to see what they can offer next time! Find out more about Couch Theatre at their website or on their Facebook page! All photos are courtesy of Couch Theatre and have been taken by Geoffrey Lim. Prev post Opening Doors To A Fresh New Dining Experience At Open Door Policy Next post Bullying In Singapore Schools: Should Victims Fight Back?